YIPPEE!!! 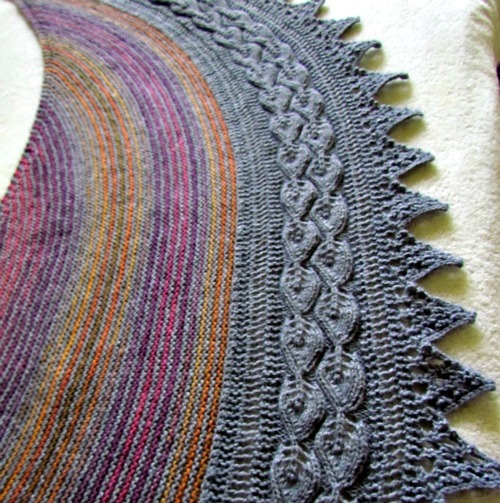 I have published my first shawl design and it's FREE on Ravelry!!! 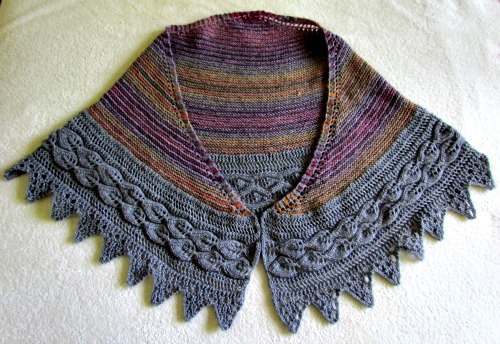 It's called the Henrietta Road Shawl (the reason for the name is given in the pattern). 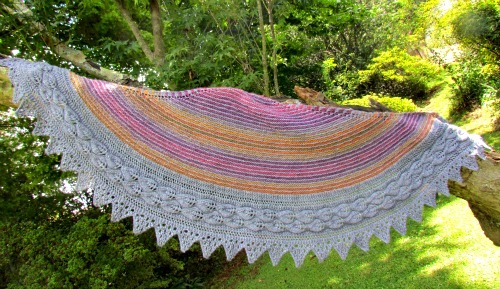 You can use any DK weight yarn and it would be a great stashbuster as the body is a 2 row pattern so can be knitted in different yarns. 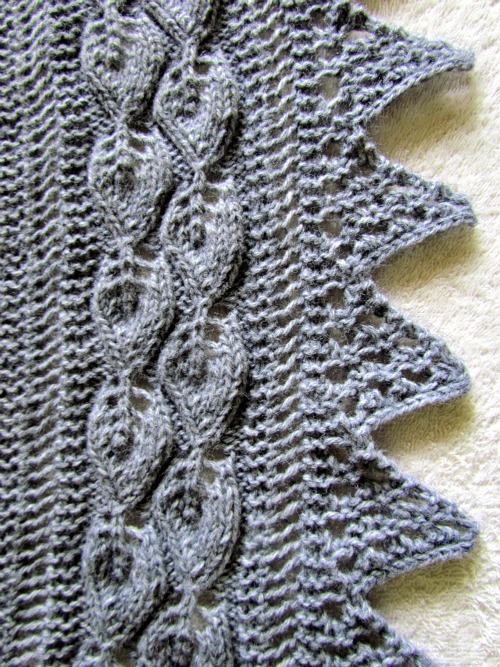 I used a plain grey alternated with a self striping that I had left over from another project. I love how it turned out. I really hope you like the pattern and that you decide to make it.